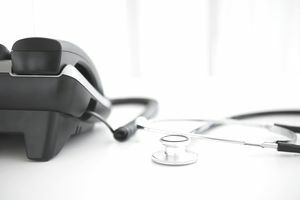 Formed in 1996, medical outsourcing company Fonemed provides telephone triage services to its clients, which are physician practices, managed-care organizations, third party administrators, disease management providers, private employers and associations throughout North America. Fonemed's clinicians interact with more than 240,000 patients on an annual basis. Fonemed hires registered nurses (RN license in state of residence required plus other states' licenses may be required) from the U.S. and Canada. These nurse give health advice to callers using Barton Schmitt/David Thompson telephone triage guidelines. This is a fast-paced jobs, and employees should be able to work quickly, taking 4-5 triage calls per hour. Fonemed's telephone triage nurses are compensated on a per-call basis, however, because they are employees they will receive a minimum per-hour rate if call volume is low. Company looks for three years of clinical experience in pediatrics and adults, plus one year experience using electronic triage software and computerized medical protocols/guidelines. Some weekend work is required. High speed Internet and a room with a door are required for the call center's home office. A landline phone is required, but the cost is reimbursed. In addition to your shift you may be required to be available for telephone meetings and presentations. Being bilingual in Spanish is considered an asset. Telephone triage nurses are compensated on a per-call basis with a minimum per hour paid when volume is low. The average number of calls a phone triage nurse would receive per hour is about 4 to 5. Some have reported that the per-call rate is $6/call. Paid time off, 401K and medical insurance are among the employee benefits offered. Use Fonemed's employment website to apply by emailing your resume to address provided. The company contacts candidates when it has positions available. And after 6 months it deletes old resumes, so if you applied more than 6 months ago but you didn't hear from Fonemed, it may be worthwhile to reapply. For more profiles of companies that hire nurses (and others with medical backgrounds) to work from home, click on the links below. Companies listed in this or other work-at-home company profiles may or may not be hiring at this time. Please research job openings--reading their job posting and employment policies carefully with an eye toward how your skills match their needs--before initiating contact. For more telecommuting jobs, see this directory of work-at home-companies or this list of work-at-home nursing jobs.